Bali Dog – Bite – Rabies? | "Where in the world are Barry and Renee?" Bali Dog – Bite – Rabies? We returned to Bali. We love being in Ubud where Barry is particularly disciplined, so we both got lots of exercise, ate good food, and enjoyed the music and the people. Barry left on November 20; I was to leave on November 23. My scheduled departure was on the last night before flights started to be cancelled because the Bali volcano, Mt. Agung, actually was erupting. I was lucky about getting out, but my last day in Ubud was intense. On that final morning, I was on my way to my Pilates class in Penestanan, just outside Ubud. I was peddling hard uphill. Motorbikes zoomed past me. I saw a brown and tan Bali dog at the side of the road. Bali dogs are everywhere. They are smart, good watch dogs, usually friendly; most are let loose to roam in the daytime. This one came at me from behind and nipped my calf through my thin Bali pants. I screamed. He ran off. And that is an issue – a Big issue – since rabies is a problem in Bali. Our Bali Dog – Adelle in 2016 with Barry at our Agus Ayu Guesthouse. Adelle was friendly, a pleasure to have around: a normal Bali Dog. During the day, she roamed Bisma Road. “The virus is still present in parts of Bali and is proving very difficult to eradicate completely due to the long incubation period of the disease. . .[which] in both humans and animals can range widely from two weeks up to several years (average 2-3 months), with the incubation period being shorter the nearer the entry point is to the central nervous system. Therefore a bite to the face or neck has a much shorter incubation period than a bite to the foot. Once the virus has reached the brain, it spreads to other sites such as the salivary glands” (8). The Mayo Clinic notes, “Once a person begins showing signs and symptoms of rabies, the disease is nearly always fatal.. . .The first symptoms of rabies may be very similar to the flu and may last for days. Later signs and symptoms may include: fever, headache, nausea, agitation, anxiety, hyperactivity, difficulty swallowing, hydrophobia, hallucinations, insomnia, partial paralysis. Local Bali drivers sitting near their cars had seen that I had been bitten. They said I definitely should get the rabies vaccinations. At the Pilates class, some classmates said I should get the vaccinations; others said the dog probably wasn’t rabid and not to bother with the shots. One expat showed me a photo of her friend’s bite that was much worse than the little one I’d gotten. That bitten woman hadn’t gotten shots, and hadn’t (at least not yet) gotten rabies. The problem is that once you get the rabies symptoms, there is nothing that can be done: you die – a really painful, gruesome death. So should I take a chance? After class, I peddled to the local clinic that I passed by every day on my way to and from class to check what I should do. As recommended, I scrubbed the wound with warm, sudsy water for 15 minutes, which is important to do for any puncture wound especially in the tropics. The clinic technician said I definitely should get the shots since the dog had run away and so couldn’t be quarantined for 10 days to see if it did indeed have rabies. But I would need about $100 U.S. to pay for the two vaccines I should get before flying out that night. They only took cash. After some confusion and much stress (and a long hour of peddling around, up and down hills, trying to get money at an ATM machine that would work – and my stomach cramping and me shaking – so I knew I had rabies and would die, I finally got the needed cash. I returned to the Bali clinic. The clinic is clean, and the clinician efficient and knowledgeable, and like most local people in this tourist packed town, his English is good. He gave me an almost painless shot in each arm, the paperwork I’d need to get reimbursed from my health insurance, and printed instructions about when I should get the two remaining shots. I’m very happy to report that the anti-rabies vaccines are no longer the extremely painful ones given in the stomach. I would just need to get two more when I got home to Maui at recommended times over the next month – and how hard could that be? I came back more or less directly if you count a 13-hour layover in Kuala Lumpur and two other layovers (we go for the cheapest tickets) although not nearly so long in Osaka and Honolulu as directly. Exposure to camels was the only thing U.S. quarantine was concerned about when I came through customs, and I could honestly answer that I’d had no problems with camels. Barry and I are home, and it is good to be back. Then I just needed to get two more rabies vaccinations at the recommended times. I was back in “medically advanced” U.S. According to the U.S. Center for Disease Control, “Rabies is a very serious disease caused by a virus in all warm-blooded mammals, including humans. On the U.S. mainland, wild animals that are most often associated with rabies include skunks, foxes, raccoons, and bats. Human rabies is rare in the United States however; worldwide 65,000 to 87,000 deaths occur annually due to rabies primarily in Asia and Africa where prompt medical attention and preventive vaccinations are not readily available. Dogs are the most common source of infection of humans. . . I landed on Maui on a Friday night. I called my doctor as soon as the office opened the following morning and explained I had been bitten in Bali and needed two more shots. The next one (it didn’t matter the brand) was to be given the following Wednesday. “No problem,” I was told and given an appointment for that Wednesday. On Tuesday, my doctor’s office called to confirm. On Wednesday, I arrived a few minutes early and was shown into the doctor’s examining room. It turns out there was a problem. They didn’t have the vaccine. What! 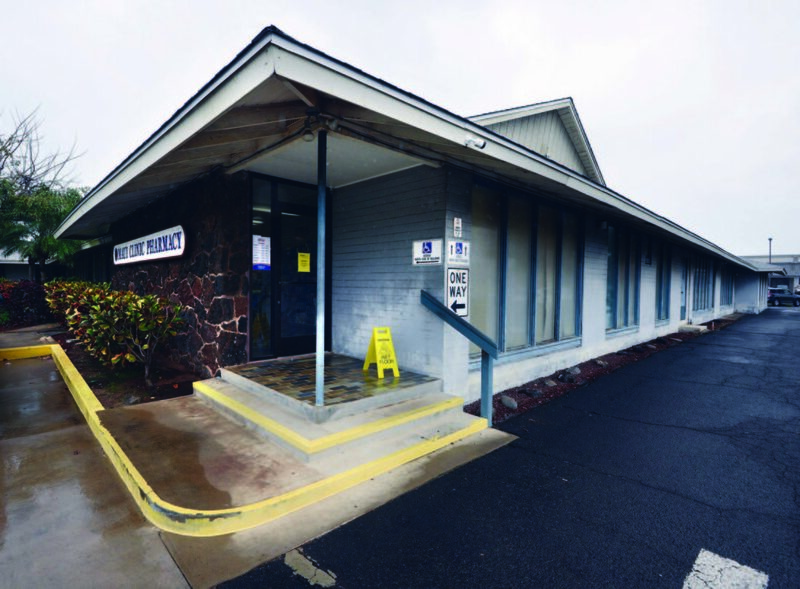 3) only one Maui pharmacy had the contract to procure the rabies vaccination. I was told that I probably didn’t have rabies. And the basis for that? And if the doctor were wrong? I was suddenly a bit worried. I looked up “YouTube video of people with rabies.” You do not want to see those images; you definitely don’t want any being to get rabies. That video terrified me. I shouldn’t have been surprised that my doctor and the “designated rabies vaccine” pharmacy were rather clueless. In our whole state of Hawaii, there has never been a case of rabies acquired here in humans or animals! Friday morning, two days after I should have had my third shot, (and six days after I’d notified my doctor’s office that I needed the vaccines) I still hadn’t gotten the vaccine. That morning the “designated pharmacy” told me I should fly to the U.S. Mainland to get the last two shots. What!! We get over five million people flying into Maui every year; we have FedX, UPS, U.S. Postal Service. They had had almost a week to get the vaccine here. I was feeling rabid! Barry said, “Okay – this is ridiculous; we are going to the doctor’s office.” Things didn’t go well there. I ended up yelling at the smirking nurse (who was to explain to the office manager what my doctor had done – or in this case, not done- to get me the vaccine). Then stomping out of the office, I screamed: “You are incompetent and unprofessional!! !” Barry, being more mature, stayed behind and made the point that he had been a patient of this doctor’s office for 30 years and that my situation was one of potential death for me. Wailea Pharmacy. Since it seemed I would get no medical help on Maui, Barry and I drove over to Wailea Pharmacy that Friday morning to see if Shelly, our friend and the pharmacy co-owner, had any ideas. She didn’t have the vaccine in stock, but she could get it. She was very reassuring. While we were talking, my doctor’s office called to say they had located the vaccine on island; we would just need to drive into town and bring the vaccine back to be administered that afternoon. So my doctor’s office finally had done something! And why was that? Was it because of my screaming behavior that Friday morning? Was it because Barry had appealed to their medical mission? ****Maui Clinic Pharmacy in Kahului!!! This pharmacy keeps the rabies vaccine in stock! Not only that, the cost to me because I have insurance was $30, not the $400 a shot that I’d been told. For the fourth shot, I just went to the Maui Clinic Pharmacy. The very competent, nice, and knowledgeable pharmacist chatted with me and gave me an almost painless shot. Dogs can bite even if I’m not afraid of them. I need to be more cautious. I should always have easy access to money. Because it’s a condition we don’t have on Maui, the medical people here in general don’t know what to do about rabies. I should be grateful that rabies isn’t an issue here. And this is sad – – maybe yelling does work. No one has to worry about me biting them now – but I had felt like I might need to start biting a few people to get some help. Although my bite didn’t become infected or leave a scar — and I’m not going to get rabies — on this same trip, I did get a scar from a moped carburetor burn, but that’s another story. Sometimes, traveling can be interesting in ways you don’t expect. This Bali Dog was named Mandi. She looks much like the dog that bit me – but she was a sweet dog, a victim of poisoning – an effort by some Bali neighbors to rid their community of dogs. Go to the above link to know more about how some people are helping (and some are hurting) Bali Dogs. Hi Rosita/sooi_dog: You’re right: just because a disease isn’t common in your area doesn’t mean that it isn’t real. Do you have any side effects from the chikungunya? And you are right about the Bali dogs being innocent and needlessly killed. It’s very sad. We don’t have travel plans yet, and from now on, I’m likely to be watching for dogs behind me. alright❣️and, yah, I’ve got ocasional relapses, as da virus don’t get out of yuh body once u has got it. I tink I’m gonna to Bali, Lombok and Gili islands in December, still not sure, tho. wanna know how is Indonesia climate by December-January. rabies isn’t common in my city, in fact, it’s eradicsted here since 2008, but it happens in nearby cities, so we have to keep an eye on it and vaccinate our pets. can’t Bali ppl vaccinate their dogs and cats for free? it’s very sad! can’t they have free vaccines in case of bites?